It does not matter what you are addicted to (this drug addiction therapy will be useful). It does not matter how long you have been addicted. It does not matter how severe the consequences. If you are willing to allow God to make a way, he will. All you have to do is to stop trying to tell yourself to be strong, admit that you are weak, and get into his system of recovery. You will notice that many of them are the same as the twelve steps of Alcoholics Anonymous. The plan works if you work the plan. The strength will not come from you but from God. Yet you have to go to him with your weakness and join his program in order to receive his strength. We encourage you to do that and to discover, like millions before you, that no matter what you have lost, God can make a way for you to move forward in your life. 1. Admit to yourself, to God, and to another person that you are out of control and this addiction has gotten the best of you. Admit that you are powerless on your own to fix it. Admit that you need this drug addiction therapy. 2. Ask God for forgiveness for whatever you have done, and claim it. Receive it, and get rid of all condemnation. 3. Believe that God can help you, reach out to Him, and totally submit yourself to His care, guidance, direction, and strength. Submit to total obedience to whatever He shows you to do. 4. Take an ongoing inventory of all that is wrong inside and between you and others, and all that you have done wrong. Confess it to God and to someone else. 5. Continually ask God to show you anything that you need to work on, and when He tells you, follow through. 6. Go and ask for forgiveness and make amends to all whom you have hurt, except where that might harm the person. 7. Seek God deeply, ask Him what He wants you to do, ask Him for the power to do it, and then follow through in obedience. 8. Reach out to others. 9. Find out the triggers that get your addictive behavior started, and then when they occur, reach out. Do not ever underestimate the need to reach out. That is why some addicts especially in the beginning go to multiple meetings every day and have a sponsor whom they can call. This daily drug addiction therapy should be VERY helpful if you’re open to it. 10. Discover the hurts and pains that you are trying to medicate and seek to have them healed. Find out what you are lacking inside and begin to reach out and receive the love and strengthening that you need. 11. Do not try to do all of this alone. Join a support system, maybe attending every day for a few months, and get a few buddies to call on every day. 12. Find out what relational skills you need to develop in order to make your relationships work. Work on these skills and take risks in order to relate to people better. 13. Forgive everyone who has ever hurt you this is a key drug addiction therapy. 14. Find your talents and develop them. Pursue your dreams and goals. 15. Simplify your life so that it has less stress, and make sure that you are recreating and taking care of yourself. 16. Join a structured group that is going to provide the discipline to do all of this. 17. Study God's Word and other spiritual writings that will teach you how to apply it. 18. Stay humble, be honest, and remember that spiritual growth and recovery are for a lifetime, not just for a season. 19. If you are chemically addicted to a substance, seek medical help as well. In the beginning it is possible that you will go through withdrawal or other serious medical conditions. Make sure that you are safe. 20. See your addiction not as the problem but as a symptom of a life that is not planted and growing in God. 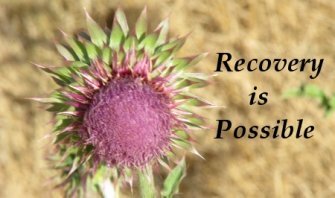 Get into recovery as a life overhaul, not just as a drug addiction therapy. Now that you have a better understanding of this drug addiction therapy please return to Treatments.